During our third project meeting at Høje Taastrup municipality (our Danish partner, responsible for the use case on e-logistics) the focus was on how the implementation of the use cases is proceeding. All partners are very active and a lot have already successfully held awareness campaigns and tested their e-vehicles. An underlying project activity during the project meetings is the public capacity-building seminar. In Høje Taastrup the focus was on three different stakeholder perspectives in political work and influence for e-logistics. During the first session, the seminar focused on international, national and regional political perspectives, followed by more practical and “real life scenarios” during the second session. 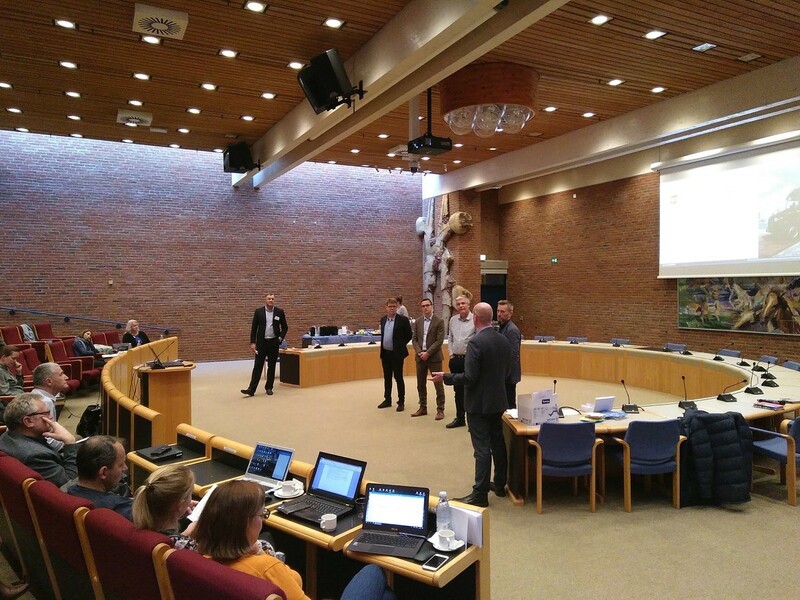 The technical director in Høje-Taastrup municipality started the event by welcoming the external stakeholders and internal partners. He introduced the municipality and the progress in the green transition, especially regarding e-mobility. After this introduction, Jeppe Juul from the organisation “Transport & Environment” talked about some of the EU climate and transport discussions and the difficulty about the CO2 standards and emissions discussion ongoing right now. Especially interesting were the first CO2 standards on heavy-duty vehicles in EU history that aim for at least 30% reduction in 2030 compared to 2019. Further, he explained that technologies are available, but that the market is not delivering. The challenge now in heavy transport is the lack of truck and van models. Also, the differentiation in technologies between personal cars based on electric drivetrains, and the heavy-duty vehicles for which gas is the right choice in the short term. Yet, from 2030 onwards electric battery, driven trucks are possible also. Thereafter, we introduced Michael Rask from Rask Greentech, a senior consultant with 20 years of experience in the “National Energy Agency” and by that experienced in implementing national governmental incentive programs. Michael has been involved in E-mobility in Denmark since 2008, and therefore holds a big experience in what works and what does not, in terms of political influence, incentives and push-pull effects. Michael outlined three proposals for solutions; creating a platform for making vehicle demand more visible, a new infrastructure model for the charging operations, and locate and use early entry segments and large players to set up partnerships. Michael talked about a more holistic approach. He also stated that it is difficult to create market mechanisms in Denmark because of the small market and no big OEMs (original equipment manufacturers) are represented. Michael also discussed some of his first-hand experience with the Chinese market and political programs. Since the Interreg BSR-Electric program is a mix of countries with different levels of EV-adoption markets, we used the opportunity to present Kaare Kaare Albrechsen from The Capital Region of Denmark, who has been in charge of the first combined and centralized E-mobility office in Denmark and thus an expert on all implementation levels. Therefore, Kaare could talk about the business model and effects of working with a one point of contact approach for local/regional E-mobility uptake and knowledge bank. The experience and activities that have been undergoing and implemented from his office is a very good example of what happens when you create a focused strategy, resources and manpower to support a region. He described the policy, strategy, and activities to promote fossil-free freight and goods transport in Greater Copenhagen. He used the triple helix innovation model between academia, industry, and government to find solutions that can support the green transition. From that, a lot of interesting examples, cases and results were shared to inspire the project partners to return to their respective countries and advocate for a similar solution in their local area. Going from these three different political perspectives, we moved into session 2, for which we had invited two companies that work on a daily basis to implement E-mobility solutions. As we find the infrastructure debate vital and as a fundamental challenge to EV development on a large scale, we invited Peter Bjerregaard, E.ON Denmark. Since 2013 E.ON has been a key player in building and developing infrastructure services, quick charging stations and local slow charging facilities in both, the public and the private space. Peter is working on market regulations, the political barriers and the future investment market situation. Peter explained some of the challenges and the differences in numbers from OEMs, political forecasts and expectations for market uptakes. These numbers clearly showed that market actors need to come together and create common approaches and forecasts, so that development will be financially and operationally aligned. Peter also focused on some innovative solutions regarding ownership, e.g. open source roaming and crowd charging. As the last man on stage, we invited Nicolai Cuppers, Nordic Transportation Manager from UPS Denmark. UPS being a global brand and one of the biggest transportation currier companies, Nicolai was able to talk us through the big investments of more than 1 billion $ that UPS has taken to reduce the global CO2 footprint of their company and national activities. 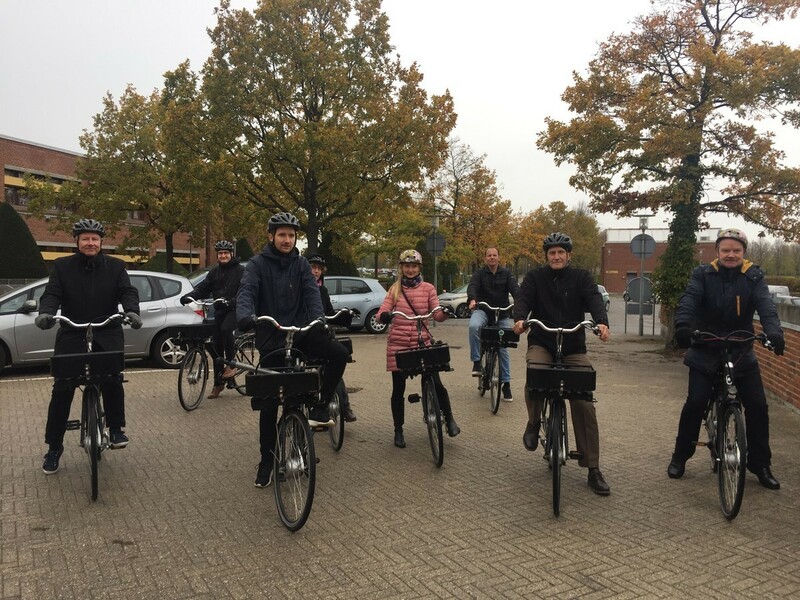 This work is considered as groundbreaking and makes UPS a first mover in terms of new solutions, alternative value chain considerations and testing of new alternative fuels, as well as of new van models and bikes. Overall, UPS is transforming into a green, more climate-friendly and low CO2 emission company by many means. Nicolai talked about leveraging technology to travel fewer miles per route, the introduction of new methods, new car designs and introducing biking in urban areas, and consolidation hubs. Overall, UPS is showing that being focused from a central top-level perspective is necessary to create new solutions and new ways of doing the same – a very inspiring story, mainly because it is not theory but happens in real life. Real investments and real actions always speak louder than words, and from that UPS is trying to gain a competitive advantage now. The workshop ended with a nice plenum discussion and some questions to our five presenters about different e-mobility related questions and views on the world and the local challenges that we face.